I am sure many of you must have confused about name of country I am referring in title. Some country names don’t sound best with their current names. Thailand is such a country. “Land” in it name gives little bit western outlook. After visiting it, I felt that such a exotic country should be referred by which is much closer to Thai people and if we read history about the country, ancient name of country - SIAM is much better name compare to Thailand. Anyway I got chance to visit this country for work on short term. 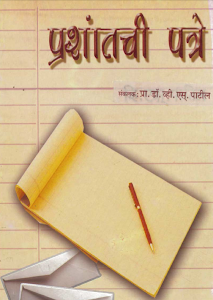 Travelling abroad for short assignment is very tricky compare to long assignment. Long term work always gives you ample time to settle and then plan for site seeing. For shorter duration you don’t get luxury of time. But with proper homework, short work travel to new place can be converted into sightseeing without jeopardizing work. With use of internet you can be prepared for the places to visit, mode of transportation, food etc. You can also find out which transportation suits you best. In Thailand primary language is thai, relaying on road side enquiry is difficult. You have to use transportation which you can travel without much verbal communication. 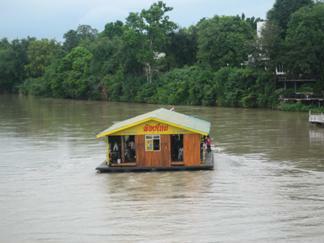 Bangkok has three modes of public transportation – bus, sky train, river taxies. There are also private services like taxies, tuk-tuk (rickshaw). I preferred sky train, because of heavy traffic and routes were easy to understand. To visit old town, you have to use bus since sky train doesn’t reach there. 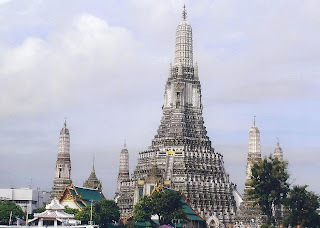 When you visit Thailand you feel immediately connected because of cultural similarity with India. 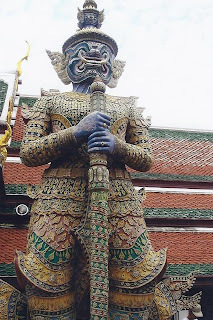 While traveling in Bangkok, you will notice names like Rama, Ayutthaya. 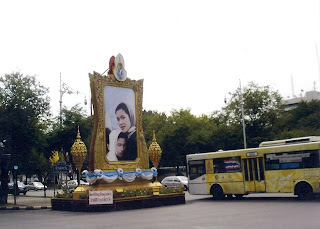 Thai people believe that king is incarnation of Rama. 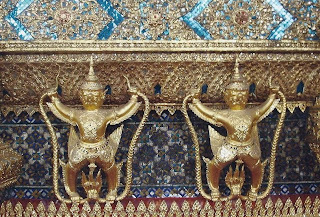 Current king is Rama-IX! I wonder why they use roman numbers to number their king! On Monday, mostly Thai people will be wearing yellow T- shirts with royal emblem to show their respect to king. Watching sea of people with yellow colored T-Shirt make you wonder about collective psyche of about Thai people. It might be because of small size of country sandwiched between two dominating culture in region China and India. 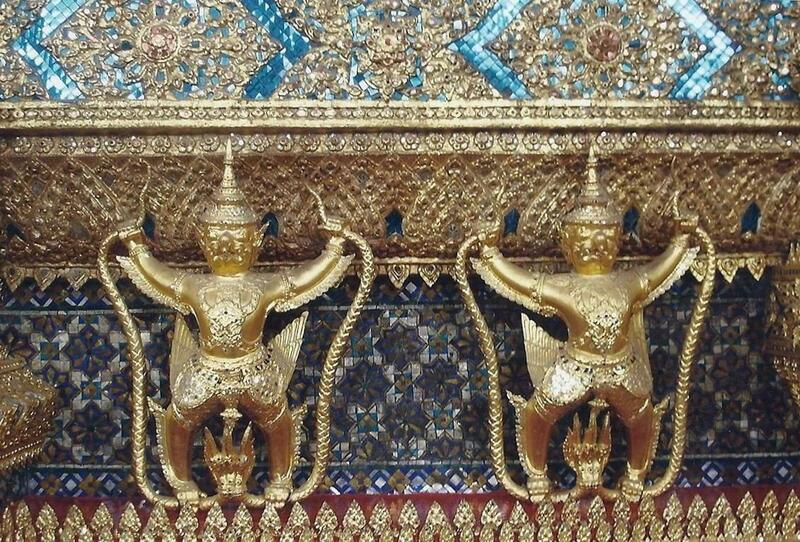 Although name of king is closer to Hindu God, religion followed in Thailand is Buddhism. 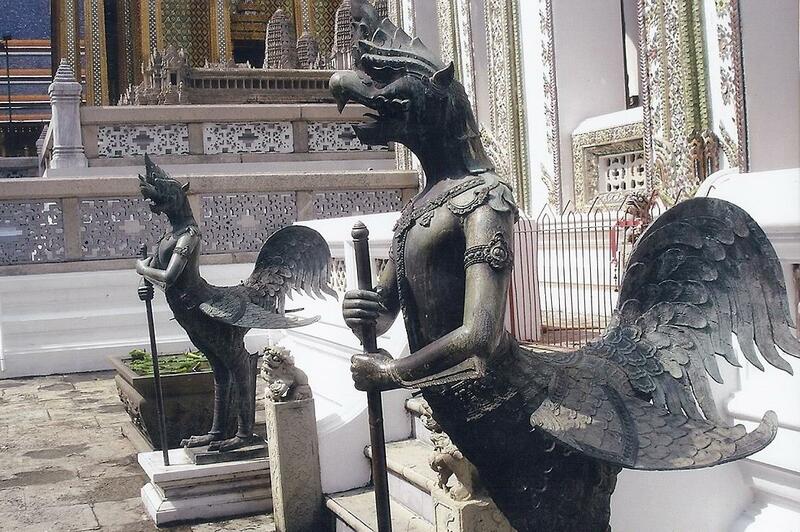 So you come across - Wats (monastery temple). 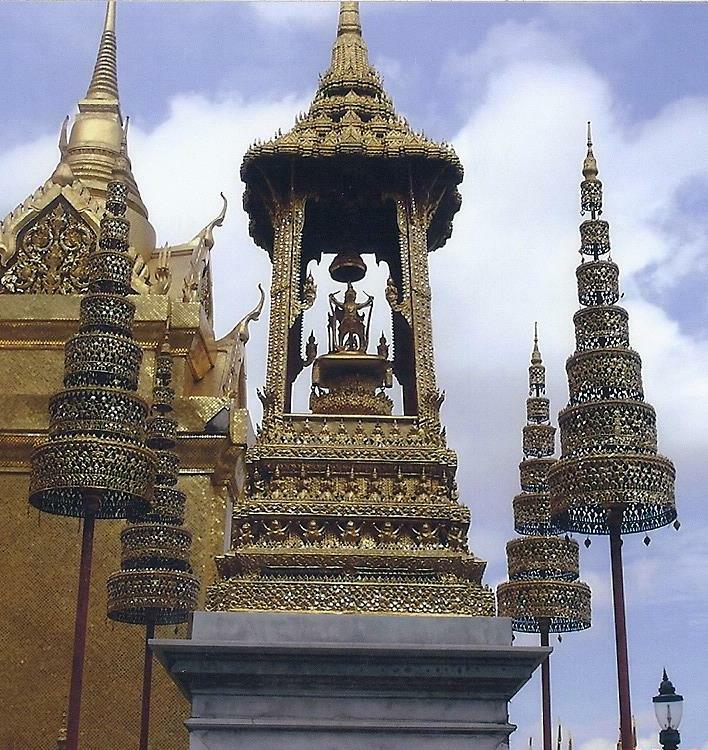 Also you will see numerous Buddha statues inside Wat. 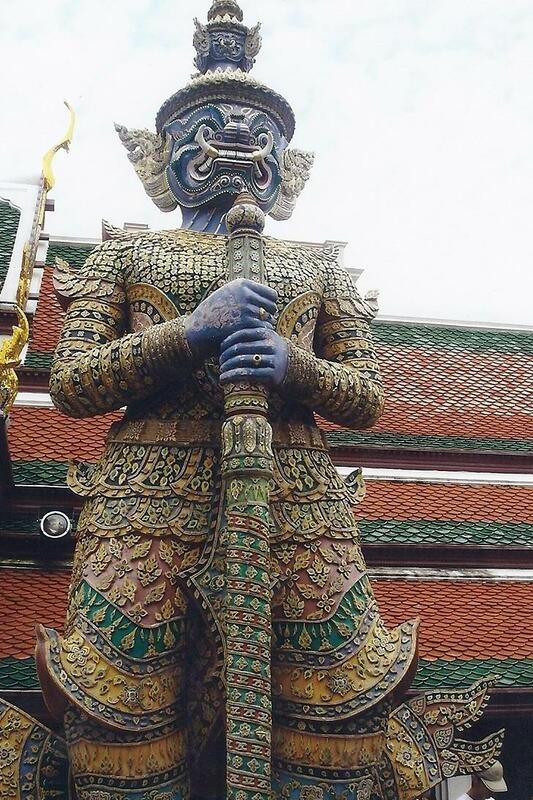 I heard there are more Buddha statutes than number of people living in Thailand. In front of many homes you will see small Buddha temple similar to tulsi vrindavan we notice in some parts of India. 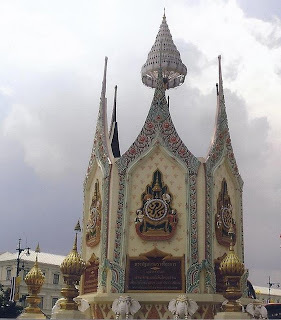 So religion and king is integral part of Thai life. Wats are beautiful temples with large image of Buddha. Most of the time it will be placed below bell shaped structure called chedi. In front of it there will be praying ground called vihan and open space called mondop. I liked their references being close to Sanskrit. What amazed me in most was the entrance of Wat, at front door it has meticulously decorated daemons and Garuda. Compound walls are also decorated with murals, mostly stories from Ramayana. 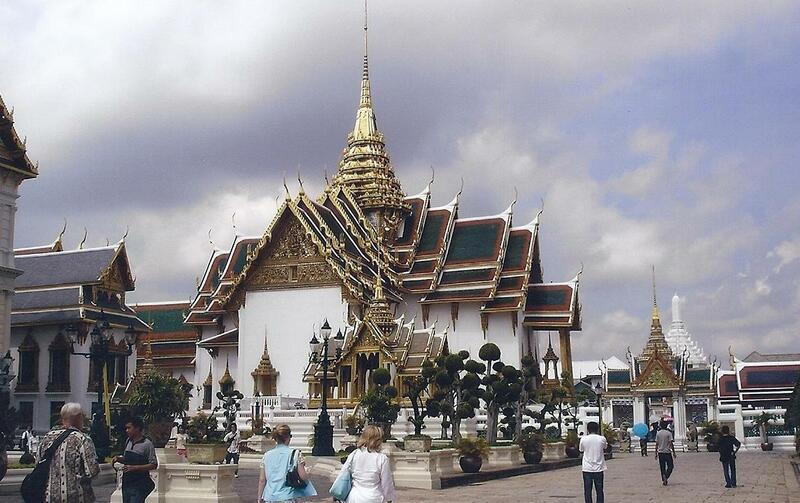 Apart from wat, Bangkok being capital city has many other tourist attractions such as palaces, modern skycrapers. 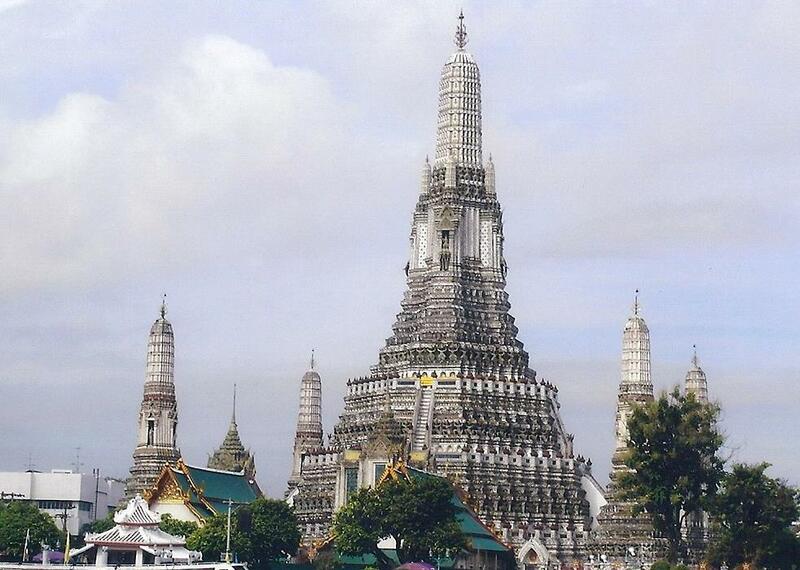 After exploring Bangkok in first two weeks, I thought of exploring nearby cities closer to Bangkok. 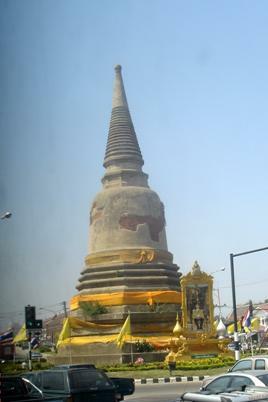 I decided first to go to Ayutthaya because city was very ancient. It always fascinated me - life of humans before industrial revolution. This city was founded in 1350 and it was capital for kingdom until 1767. In its peak glory, population was 3 lakhs! So Ayutthaya city was must GO for me. City is around 1 and ½ hrs travel distance from Bangkok by train. City is small and there is nothing left except Ayutthaya Historic Park which has ruins of old city. Bird’s eye view of park gives you glimpse of older glorious days. 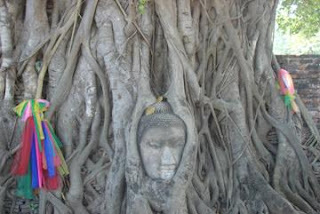 It has numerous wats, huge reclining Buddha and famous Buddha’s head entangled in tree roots. Now this park is UNESCO’s world heritage site. 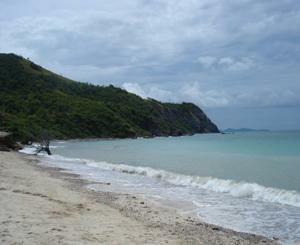 Apart from ancient sites, Thailand also has lots of natural scenic places like sea shore, islands. 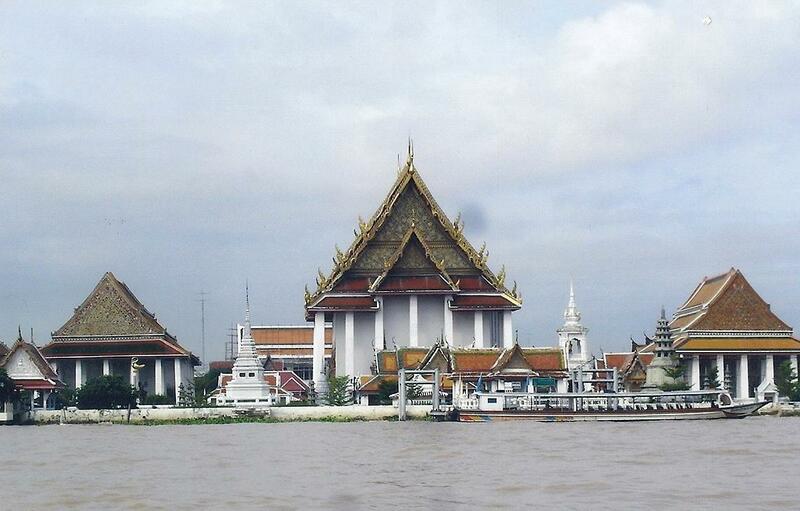 Bangkok city is situated along river Chao Phraya. 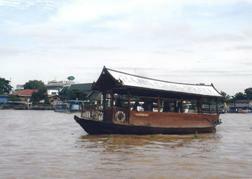 By the time river reaches Bangkok, it travels distance close to 300 km and along the way many tributary rivers joins. Geographically this terrain is flat, so in Bangkok this river looks very wide. Since river travels such long distance, carrying sand/clay on its way water color is always brown. 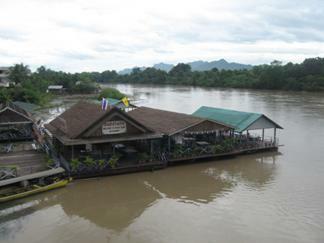 Because of numerous tributary rivers, very fertile delta region is formed at mouth of gulf of Thailand. While traveling in ruler area you can see lush green rice paddies and water canals. In Bangkok, this river is also used for public transportation. There are many water ferries. Considering Bangkok traffic, this is also good option during rush hours. 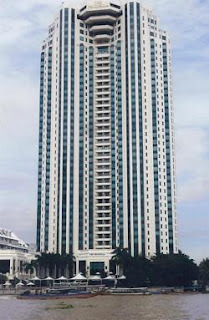 I also visited port town called Pattaya. 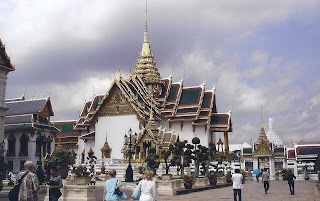 It was closer to Bangkok and one can easily manage return one day or weekend trip. Although Pattaya is famous for night life, it has many other tourist attractions. 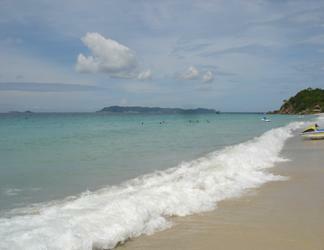 From Pattaya, around 6 km distance there is beautiful island KO Larn. This small island is famous for beaches. There are routine ferries from Pattaya to this island and back. On island there are motorcycle taxies which can take you to the beaches. Some hoteliers maintain few beaches. They provide beach chairs, umbrella, changing rooms. After playing and swimming in sea water they are ready to serve you with hot food, although little expensive. But you don’t mind considering remote location and scenic beauty sea has to offer. Exploring any new place is not finished until you taste local food. Before visiting Thailand, I had tried some Thai food such as Pad Thai, red/green chicken curry with coconut milk. I loved it since it is much closer to our hot and spicy food. So I was very excited about food in Thailand but I was wrong. Migrated food taste is very differently compared to original. Most of Thai dishes have lime leaves as ingredient which gives dish very strong bitter taste and smell, so I couldn’t explore many local dishes. But I did like few dishes like pad thai, papaya salad. 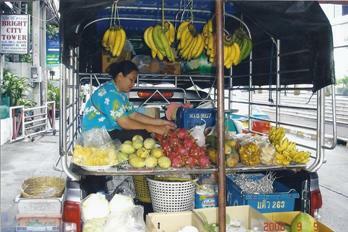 But one can thoroughly enjoy tropical fruits while in Thailand. You will find many road side vendors selling fruits. 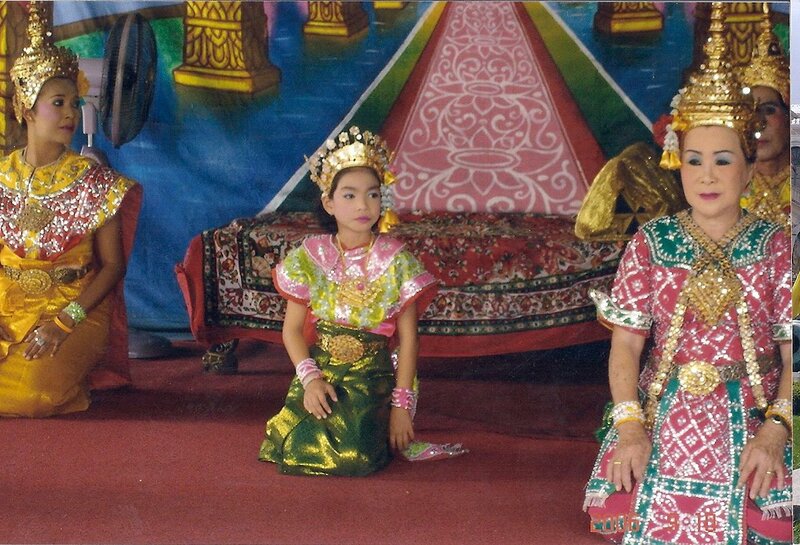 Leaving Thailand was little heartbreaking since I missed mountainous Chaing Mai region and Phuket island to explore. Although I got little glimpse of thai rural life while visiting Pattaya, Ayudhaya, Kanchanburi but these places are geographically located on flat plans around Chao Phraya river. Because of time constraints and travelling distance I couldn’t manage trip over there. But for compensation I did visit Kanchanaburi which has some hills bordering Burma. 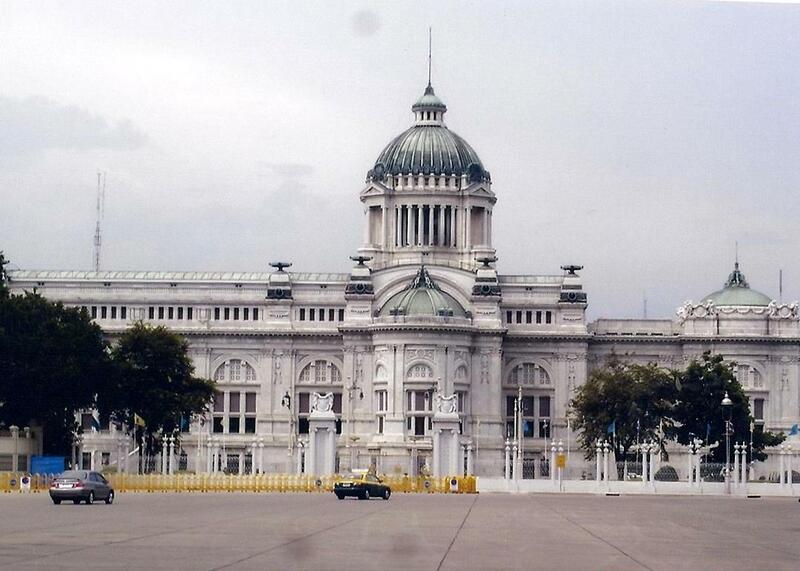 This place is also famous because of War Museum. During world war –II, this area was under Japanese control. During that period Japan tried to build railway system from Bangkok to Rangoon using prisoners of war. It is estimated roughly 1 lakh prisoners died on that railway project because of hardship and maltreatment. There is Kanchanaburi war cemetery associated with POW. 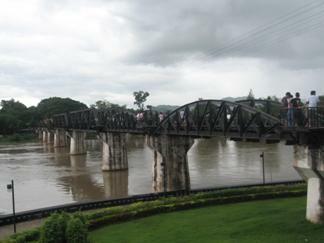 Old bridge built by POW during that period is major tourist attraction. Overall I am just happy, since I managed to explore most of Thailand while working for short duration.